"From the professional cycling we took time to create this competition" said Cerrón. There are all the national tests except Murcia, Almeria and Andalusia. 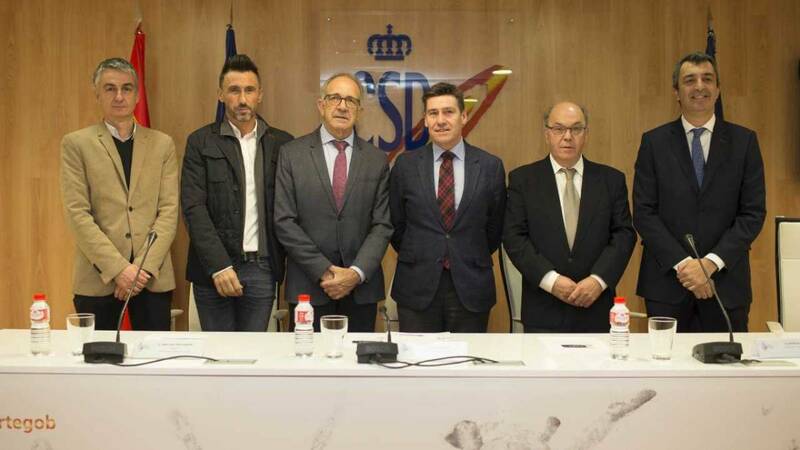 This Tuesday took place, in the Superior Council of Sports (Madrid), the presentation of the first Cup of Spain cycling at professional level. This is a competition that already existed in three countries of great cycling tradition such as Belgium, Italy and France. From now on, Spain joins that list. José Luis López Cerrón, president of the Federation, expressed his satisfaction. "We had been trying for a while and finally we have this 'competition', unlike in other countries, we included one day races and all laps, with free accession" . The Cup is for all Spanish runners or, failing that, foreign runners competing in Spanish teams. It will consist of three prizes at the end of the year: for the best professional runner, for the best Sub -23 and for the best team. All these awards will be presented at a gala at the end of the season. Javier Guillén, director of the Tour of Spain, was also pleased with this new system. "We want to add people and this can increase the interest of the amateur, this first year will be experimental, we try to please everyone and, if we do not try, we do not know how it will work" . In Italy, the winning team of this Cup comes to the Giro as a guest. In Spain at the moment it will not be like that ... but it is not ruled out in the near future: "In 2019 there is still no ranking and we have two invitations left in 2020. We do not know if there will be a prize later for the winner, but in case that there would always be outside the ranks of the competition, the invitations depend on Unipublic, in short, this is to create a classification ", confirmed Guillén. With these parameters, regulated with previous seasons, Alejandro Valverde would have been the winner in 2018. It should be noted that this Cup of Spain does not affect the traditional Cup, which will continue to be held as always with the teams Sub-23.